Pictured are (from left) Lindsay Hoffman, Ismat Shah, Robin Andreasen, Tom Powers, Mark Greene, Stephen Taylor (DSU), and Zoubeida Dagher. Not pictured: Michela Taufer and Bill Ullman. 9:36 a.m., Oct. 15, 2014--The University of Delaware has been awarded more than $200,000 by the National Science Foundation to collaborate with the National Academy of Engineering (NAE) on an international research ethics project. Led by Tom Powers, director of the Center for Science, Ethics, and Public Policy (CSEPP) at UD, the five-year project includes a team of eight faculty members from four UD colleges. The grant, which is a supplement to a $3 million award to the NAE, is aimed at developing the international components of the enhanced Online Ethics Center for Engineering and Science (OEC). The supplement will support the incorporation of international perspectives and resources for ethical reasoning and practice as well as social responsibility in science and engineering. The UD team will assist the OEC by identifying and engaging a multidisciplinary cohort of international collaborators to collect and review materials in five areas: research ethics; engineering; life and environmental sciences; computer, mathematics, and physical sciences; and social, behavioral, and economic sciences. Bill Ullman, professor in the School of Marine Science and Policy, sees an increased need for these types of materials as science becomes ever more collaborative. “As we increasingly globalize research and work with scientists and students from other countries, we need to know how our international colleagues are being trained in the proper conduct of research so that we can continue to report reliable research results that are respected globally,” he says. Ismat Shah, professor in the Department of Materials Science and Engineering, points out that new developments in areas like nanotechnology sometimes blur the ethical considerations scientists and science administrators need to keep in mind. Zoubeida Dagher, professor of science education in UD’s School of Education, is particularly interested in addressing the implications of science ethics in the K-12 population. CSEPP’s ethics in science program was launched in 2007 with a grant from NSF to fund its Responsibility and Integrity in Science and Engineering (RAISE) program, which continues at the University today with support from Delaware EPSCoR. The RAISE Program provides instruction for science and engineering graduate students and postdocs working in labs and other small research groups at UD. The Delaware Biotechnology Institute also has provided crucial support for the research ethics and ethics in science efforts of CSEPP and will provide administrative support for the NAE collaboration. 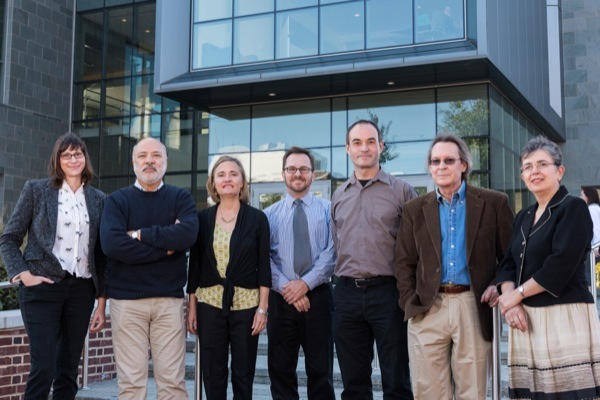 The UD team on the international projects includes  in addition to Powers, Ullman, Shah, and Dagher  Michela Taufer (computer and information sciences), Mark Greene (philosophy), Robin Andreasen (linguistics and cognitive science), and Lindsay Hoffman (communication). Stephen Taylor, director of the Ethics Resource Site at Delaware State University, will be a consultant on the project.